It is important to know how purchasing processes work and how each operation is done because one can find what goes wrong and comply purchasing process with the standards and regulations . The Accounting Flowcharts Solution allows to document and present visually purchasing processes. ConceptDraw DIAGRAM is a software for drawing flowcharts and it gives the ability to draw flowcharts that accurately represent purchasing processes in the organization. Sample 1. 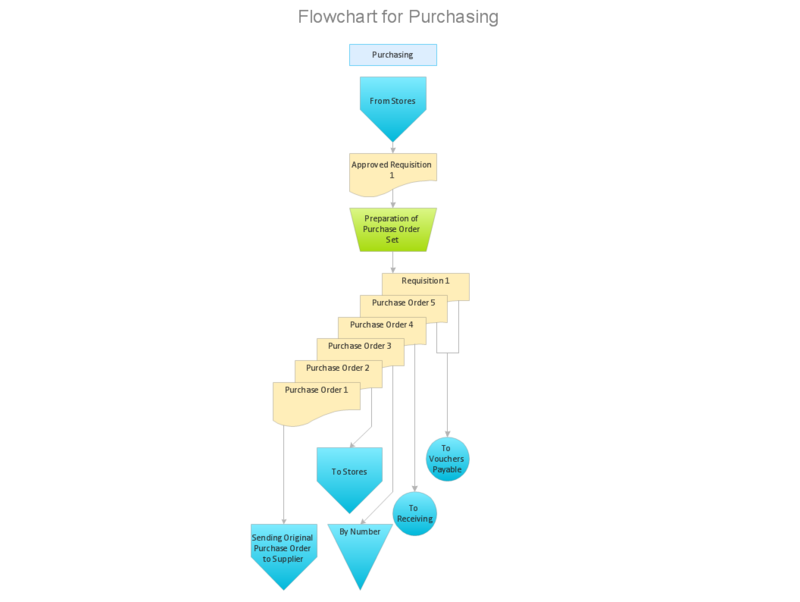 Purchasing process flow chart. Accounting flowchart is a system of processes to represent accounting system of an organization. How to create flowcharts for an accounting information system.